Zee TV Aapke Aa Jane Se. Everyone celebrates Prachi’s Godh bharai. Sahil organized a dance performance. Vedika dances as the Rajasthani dancer. Sahil knows this, unlike others. The family isn’t aware that Sahil is dancing with Vedika on the stage. Sahil is mesmerized with her performance. Vedika tries to meet Arya. Puneesh gets Prachi for the ceremony. Everyone is happy. Prachi shouts to them that a necklace is stolen. Puneesh tells the family that he will check everyone. Sahil says everyone is family here, why will they steal the necklace. Puneesh says everyone is family, except the dancers. He stops the dancers and asks them to show their faces. Vedika tries to leave. Puneesh catches her. He tells Sahil that he will check the dancers. Vedika gets exposed when her ghunghat gets off her face. Arya gets angry on her and feels Vedika is cheating her again. Puneesh blames Vedika for the theft. Sahil tries to stop Puneesh from touching Vedika. Puneesh snatches her purse and shows the necklace. He scolds Sahil and Vedika for planning this and ruining Prachi’s Godh bharai function. He proves to Sahil that Vedika had stolen the necklace. Sahil can’t believe it. Arya gets humiliating Sahil and Vedika. She feels ashamed that they are her parents. She shows the exit door to Vedika. Puneesh gets happy to make Vedika fall more in Arya’s eyes. 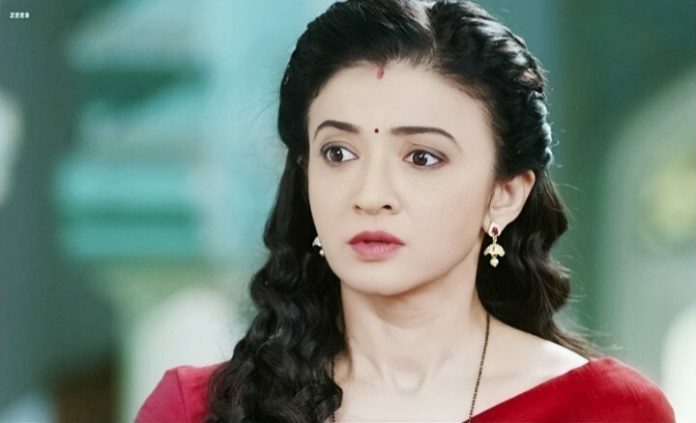 Arya gets much hatred towards Vedika. Puneesh and Shitij’s motives get fulfilled. Arya still loves her parents, but the hatred conquers. Sahil knows that Arya has felt bad after insulting Vedika. He just wants to revive that mother-daughter love, so that Shitij fails to employ Arya in his evil plans. Sahil believes in Vedika’s upbringing and is sure that Arya will soon have a change of heart. Will Arya connect with her parents once again? Keep reading.